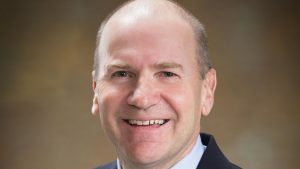 After 31 years of service, Montana Rail Link President Tom Walsh is retiring, effective Jan. 1, 2019. Vice President Operations Stacy Posey will succeed Walsh. 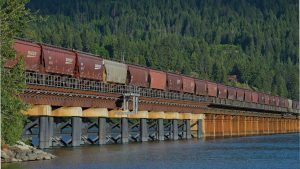 BNSF Railway could begin a project to build a second bridge across Lake Pend Oreille, Idaho, this fall. The railroad has applied for permits that would see the new bridge constructed adjacent to the existing bridge. An aviation milestone has been achieved thanks to a half-century of railroad transport. 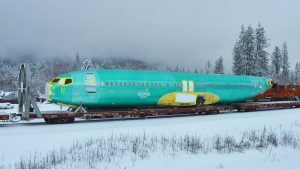 Spirit AeroSystems announced on Feb. 14 that the 10,000th 737 fuselage had left its factory in Wichita, Kans., and was en route by rail to Boeing’s massive assembly plant in Renton, Wash.
Oct. 31, 2017 marks the 30th anniversary for Montana Rail Link, a Class II regional operating more than 900 miles of main line and branch trackage from Jones Junction (Huntley), Mont., west to Sandpoint, Idaho, with trackage rights beyond Sandpoint to Spokane, Wash., over BNSF. 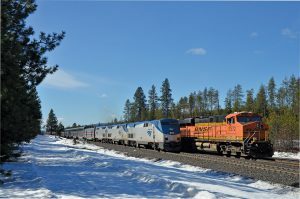 Deep snowpack at higher elevations, an early spring thaw, and heavy rainfall are severely affecting rail lines in the Pacific Northwest, particularly in the panhandle of northern Idaho. 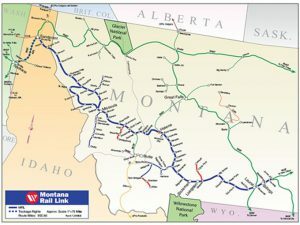 Montana Rail Link (MRL), a Class II regional railroad that operates over 900 route miles of track in Montana and Idaho, is currently constructing four tracks west of Laurel, Mont. at Spurling to be used as a staging area for westbound trains. The 12-month project is in the construction phase and is expected to be completed in the spring of 2016. 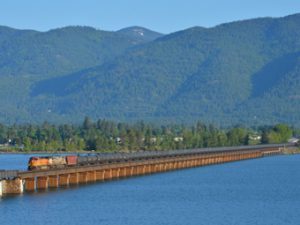 One of the more challenging capacity constraints affecting BNSF’s Northern Corridor is the 4,769-foot long bridge across Lake Pend Oreille outside Sandpoint, Idaho, not far from where BNSF and Montana Rail Link (MRL) converge. BNSF is now looking into the bold concept of building a second bridge, nearly a mile long, adjacent to the existing one. 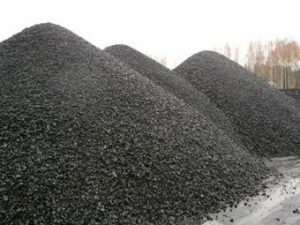 Oregon’s Department of State Lands on Monday, Aug. 18, 2014, denied a permit for construction of a coal export project on the Columbia River to bolster international coal export. BNSF Railway has selected Montana Rail Link, Inc. (MRL) as its 2013 Short Line of the Year “for its significant growth and continued emphasis on a strong safety record.” In addition, Bighorn Divide & Wyoming Railroad (BDW) won the Special Recognition Award. The awards were presented during the annual BNSF Short Line Conference last month in Irving, Tex. 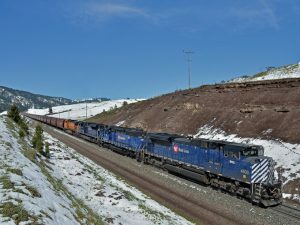 Railway Age’s Regional Railroad of the Year, Montana Rail Link—known as “The Main Street of Montana”—is a heavy-haul operation with 650 miles of main line and 300 miles of branch lines located in Montana and Idaho.